Store up to six foam rollers on this durable wall rack. Extra sections can be removed to save space as needed. 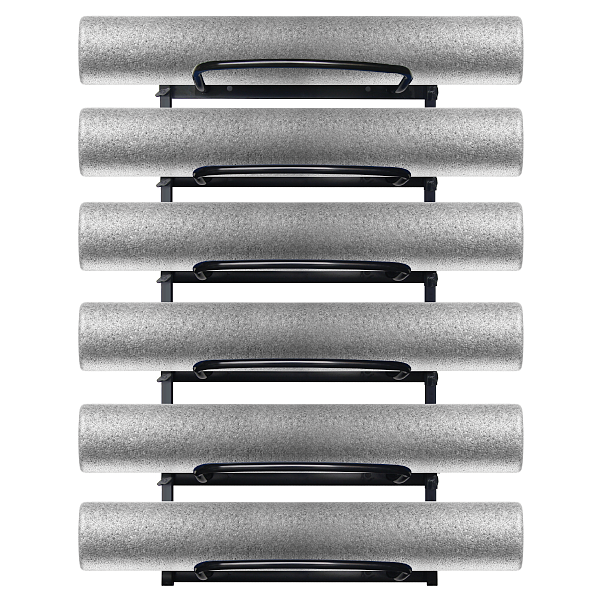 Conveniently store up to six foam rollers on this easy-to-assemble wall rack. Extra sections can be removed to save space as needed. 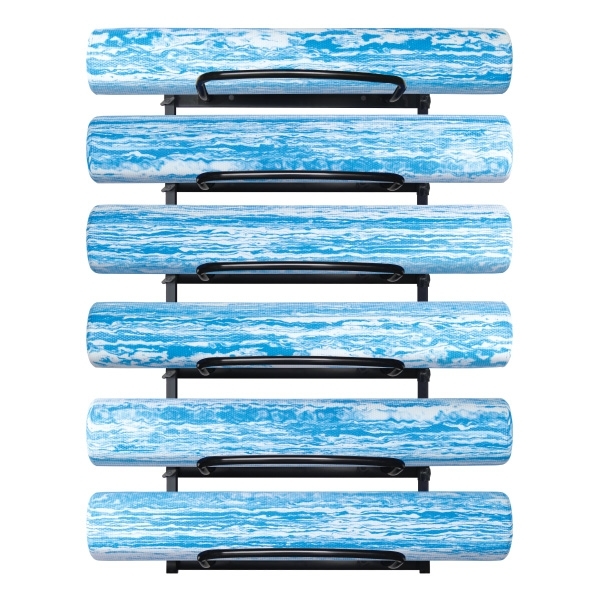 24” L x 10” W x 47” H. Foam roller tray: 16 ¾” W x 9” D.
* Note: Includes hardware and instructions for assembly. Wall mounting hardware not included.